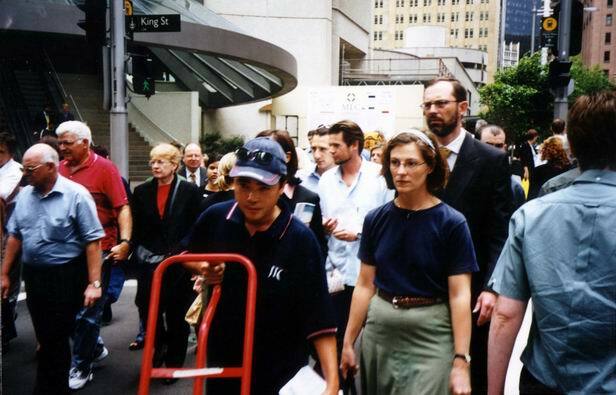 Specimen of crowd composition common day in the city of Sydney - businessmen, delivery services, pizza men (like me), Asian people (about 35%), white people (60%), black nationalities (5%). King St. in the background - all the time troubles with parking our pizza bikes, in spite of fact, that road has 4 driving tracks & it is just a one-way road... But, on the other side, the loading management systems are done so effectively & well, that you could only rarely see some congestions there.